The world needs more PEAS! This week’s recipe features Sicilian Ragu with Peas, a classic pairing that everyone seems to love. 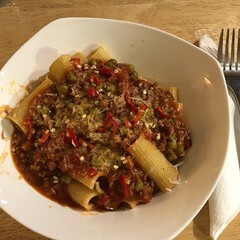 Try our take on this classic, Sicilian Ragu with Peas! There’s something about Bok Choy that brings us joy, join the club and serve some today! 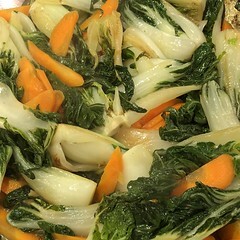 Here’s a simple recipe, Asian-Style Braised Baby Bok Choy, enjoy! A small island with a big heart, Puerto Rican food culture is a melange of Spanish, African and Taino cuisine. It’s typically compared to Cuban and Mexican for obvious reasons and while it does have similarities, the subtle differences make it wonderfully unique. Try our take on Puerto Rican Rice and Beans we’re sure you’ll be craving more. 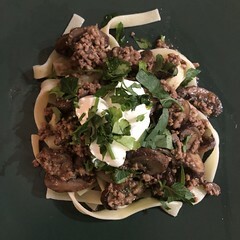 This weeks featured recipe is a salute to Cucina Povera (the kitchen of the poor), but it’s as rich and tasty as can be. This particular version was influenced by one of our friends from overseas, Ada Parisi of Siciliani Creativi. Her roots run deep and are only a short distance from Zio James. 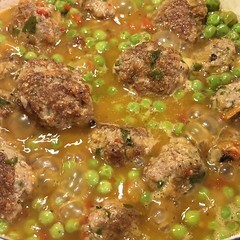 Have fun preparing Polpette e Piselli (Meatballs Stewed with Peas). 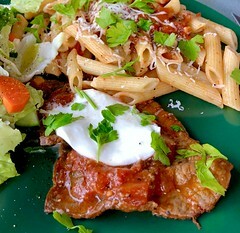 Yup, the Zio of this Zio loved Carne (Steak) Pizzaiola, especially if made on the BBQ. While this recipe is made in a pan you can easily ramp it up by using New York Cut steaks, grilling them and adding them to the simple sauce, don’t forget the mozzarella on top! Cucina Dello Zio pays tribute once again! This time we salute our neighbors to the south, Mexico! 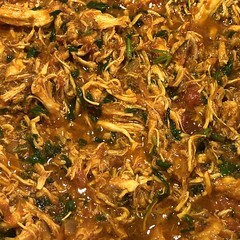 Let’s make some Chicken – Braised Mexican-Style.